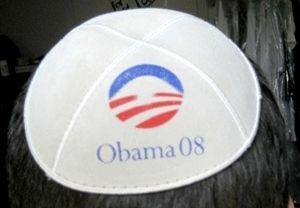 March 2: Now it’s official: page one of the New York Times reported on Saturday that the Jews have a problem with Obama. The story, by Neela Banerjee (is that a Jewish name? ), did not exactly say there was a “problem.” It said there was a “challenge” for Obama: “navigating” the “treacherous paths” that lead to “winning the trust” of Jewish voters. That task, the Times reported, is “all the more difficult” because of the “tenuous relations” between blacks and Jews. READ THE REST OF THIS HUFFINGTON POST STORY HERE.